Blue Michael Kors purse: Birthday present from my sister! Work + Watched a DVD movie with my father and brother. You know what makes today's outfit special? Besides using my new Michael Kors purse that my sister gave my for my birthday (Thanks Annie! 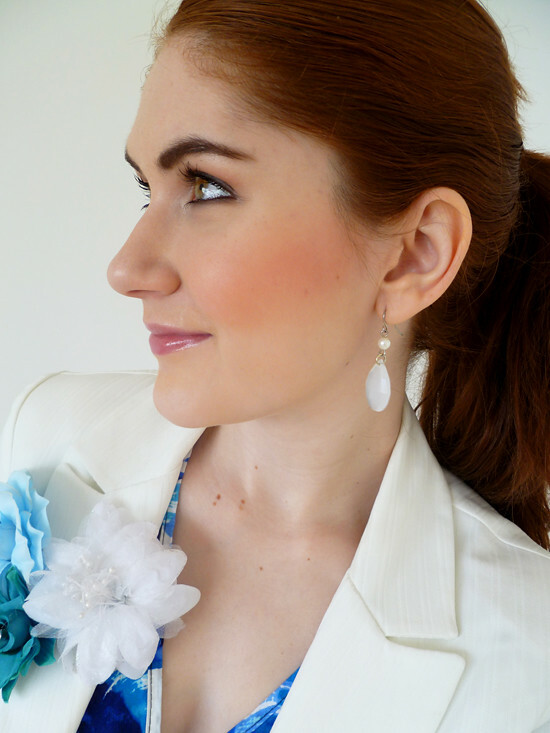 ), I think these three floral brooches are the main attraction of this outfit. I love how fresh they look! I love how the floral brooches add pizazz to what otherwise would be a simple dress+blazer outfit. You are so pretty. 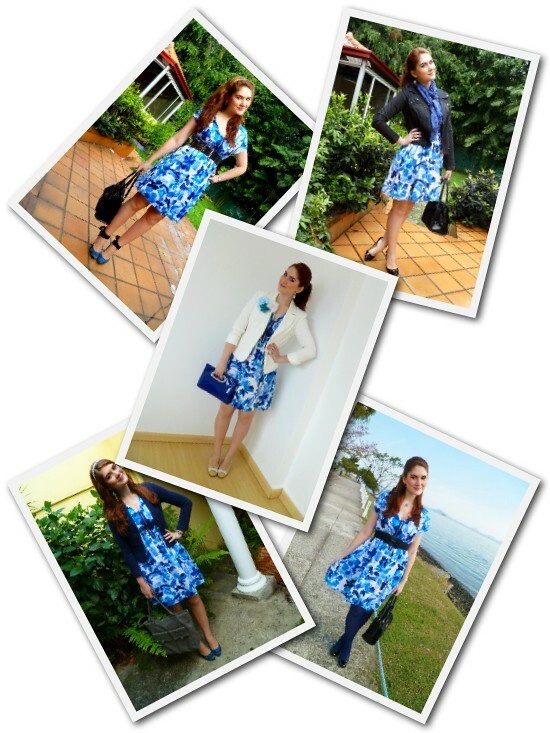 I adore that blue floral dress! It's about one of the cutest dresses I've ever seen. The colors are just so bright and wonderful! Hope you are having a fabulous weekend! i love the dress with the white blazer. i have a white blazer that i wear with everything! the floral pins are a nice touch, too. I love adding a flower to my outfit! It's an easy way to add a little something to an outfit. Marie, you look gorgeous in blue! 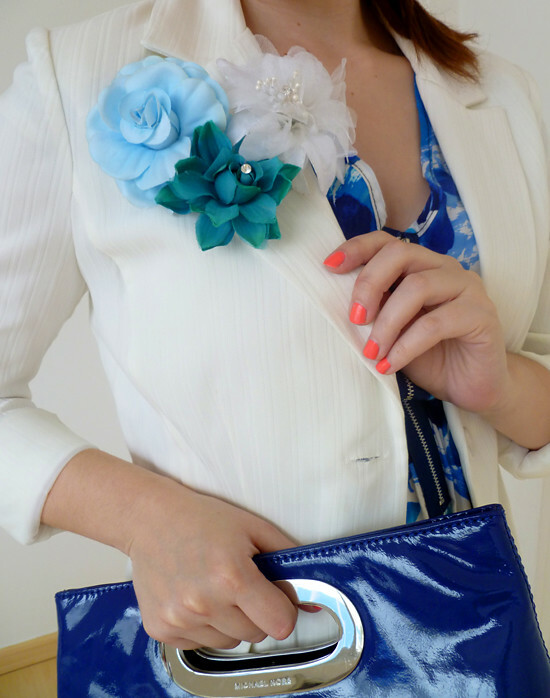 and I agree-- the blue brooch really adds a lot of oomph to the whole outfit! Beautiful!